Colder weather brings more people inside. That means more germs and greater exposure to bugs that cause cold and flu. 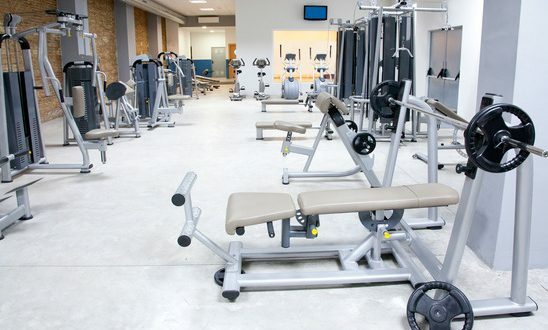 Use these gym hygiene tips to keep germs at bay and help you stay well throughout the season. This one is a no brainer. Wash your hands for 20 to 30 seconds with soap. Be sure to clean the front and back of the hands along with your wrists. Not sure how long to wash? Sing a song in your head as you scrub – the happy birthday song is often recommended. No need to go exclusively anti-bacterial. Regular soap is just as effective, and too much use of some anti-bacterial products can build resistance and lead to so-called super bugs. You know that washing is important but did you know that leaving your hands wet can make it easier for them to pick up and pass germs? Dry hands thoroughly after each hand washing. Most facilities provide wipes and/or spray bottles and disposable towels to disinfect equipment between uses. Don’t skip this step. Wipe down every machine, every time. Some germs can live on surfaces long enough to sicken you even after the offending user has moved onto other equipment. Touch only when you must. For example, use a clean towel, rather than your hands to wipe your face of sweat. This is especially important with dumbbells. Because you are not likely to disinfect each set, you will need to avoid touching your eyes, nose or mouth (areas where germs enter) with your hands. Use a paper towel to turn off the water and exit the bathroom. Carry your own water bottle so you can avoid the fountain. Wash your bottle daily rather than let it hand out in your gym bag. The goal is to reduce your contact with surfaces where germs are lurking. Cold and flu germs aren’t the only ones lurking at the gym. Wear shower shoes to avoid foot fungus, and use a towel rather than place your bare bottom on a bench. Yes, commitment counts when it comes to fitness. Still, you can take a guilt-free pass if you have a fever, nausea, runny nose or chest congestion. Get some rest, and spare fellow gym goers your germs. Sharing is not caring when it comes to cold and flu germs. Exercise actually boosts your immune system, so going to the gym is one of the best things you can do to stay well during cold and flu season. Just remember to keep your hands clean and away from your face.